Then-Secretary of State John Kerry in January 2017. WASHINGTON — John Kerry sat in front of the United Nations, his 2-year-old granddaughter, Isabelle, in his lap as he affixed his signature to a historic climate accord. He smiled. He gave Isabelle a peck on the cheek. He blew a kiss into the crowd. Thirteen months later, it has all been undone — by President Trump’s decision to withdraw from the historic Paris climate agreement. “I think it will be recorded as one of the most self-destructive days in presidencies ever,” he added. 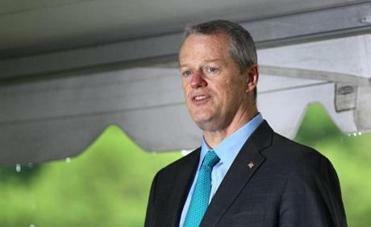 Charlie Baker said he was reiterating the state’s plans to go even further than the emission reduction targets of the Paris Climate Agreement. As Kerry watched Trump’s announcement Thursday, he grew angrier — on a personal front, for his grandchildren; on a political front, for what he sees as the reduction of America’s role in the world; on a scientific front, for what would happen to the earth. Kerry would not get into details, but he says he has heard lately from a number of world leaders about Trump’s behavior on the international stage. Deputy White House press secretary Sarah Huckabee Sanders rebutted Kerry, saying he was failing to grasp the concerns that the electorate made clear in November. Kerry played an instrumental role in crafting the Paris climate accord, in which 195 countries agreed to combat climate change by cutting greenhouse gas emissions. It was one of the signature accomplishments during Kerry’s four years as secretary of state, along with a deal with Iran that Trump has also ridiculed. When Kerry left the State Department as Trump was inaugurated, he concluded nearly 34 years in public office. He had always expected that his post-government role would involve some amount of continuing to argue for action on climate change — and preserving the Paris agreement — but the degree to which he’s now engaged seemed to surprise even him. “The consequences of the choices he is making affect my children and my grandchildren in a very personal way. That’s a motivator beyond description,” he added. 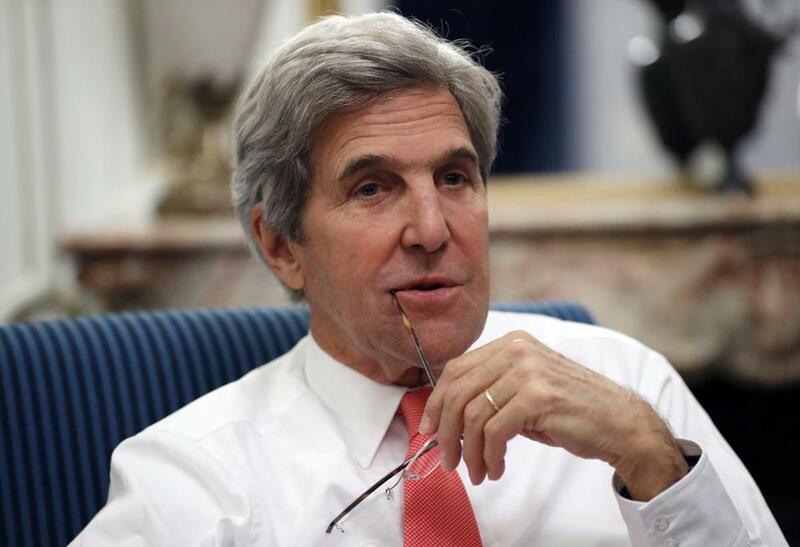 Combating climate change has been one of the issues that has most animated Kerry throughout his career. In 2009, he crafted the Senate’s most ambitious response to threats of climate change, legislation that would have established a cap-and-trade system on US emissions of greenhouse gases. The legislation failed, which Kerry said was one of the biggest regrets of his Senate career. Kerry was flying to Antarctica to view some of the impacts and research related to climate change when he learned that Trump had defeated Clinton. “Those of us who started with Earth Day in 1970 in response to Rachel Carson have a really powerful sense of the stupidity and self-destructiveness and ignorance of the decision that has been made,” Kerry said. In the interview Friday, Kerry — who lost a 2004 presidential race, who led Vietnam War protests, who spent decades in the Senate — began to contemplate this political era. Kerry reflected on his quote from Mandela last year, about work seeming impossible until it is done.